Letter to H.E. 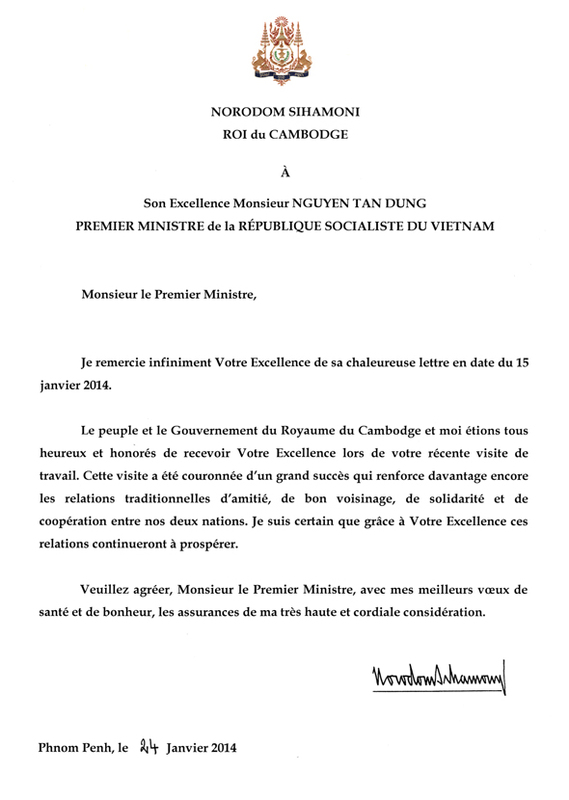 Mr. NGUYEN TAN DUNG, Prime Minister of the Socialist Republic of Vietnam. Letter to H.E. the Right Honourable QUENTIN BRYCE AC CVO Governor-General of the Commonwealth ofAustralia. Letter to H.E. Mr. PRANAB MUKHERJEE President of the Republic of India. Letter to H.E. Mr. U THEIN SEIN President of the Republic of the Union of Myanmar. Letter to Samdech Akka Mohasenapadey Decho Hun Sen, Prime Minister of Cambodia.